Eyetok (Barcelona, Spain). The mobile video live streaming solution to help companies to harness and crowdsource UGC live footage, by turning their audience into co-creators of the content. Itcher (London, United Kingdom). Itcher is an app for movie, TV show, book, music & game discovery, using the power of its community to generate recommendations based on like-minded users. Sonorrari Sound Sensation (Berlin, Germany). Sonorrari technology allows you to physically feel Sound & Music in the palms of your hands, on the soles of your feet and on any part of the body you choose. The Dream VR (Barcelona, Spain). Events & concerts have a limited capacity. The Dream VR breaks this barrier, allowing one to enjoy any type of musical event simply using the 360 VR technology. Uberchord Engineering (Berlin, Germany). Uberchord will bring music education into the 21st century with a breakthrough in audio recognition technology that enables efficient and gamified didactic guidance. The criteria for the selection of the Startups finalists focused on their innovation potential, their viability, their social impact, the experience and attitude of their management teams, as well as their capacity to communicate. Out of the total projects received, 28.6% were from Spain, 10.7% from Germany, 10.7% from Italy, 8.9% from the United States, 8.9% from UK, 8.9% from France, followed by Singapore, Finland, Israel, Ukraine, Kenya, among others. The average capital needed by the finalists presented is 1,760,000€, having already raised around 1,664,000€. The majority are startups created in 2016 and are related to the media and entertainment sectors. 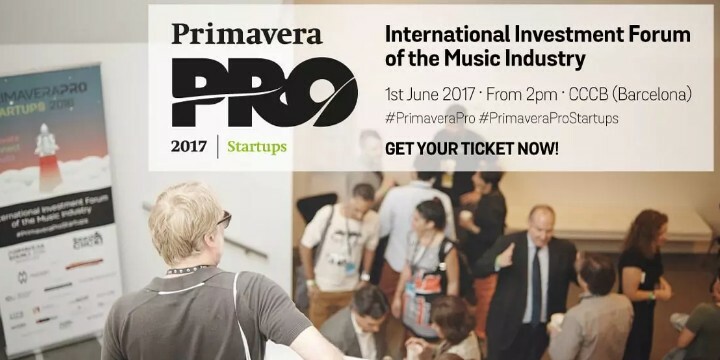 The jury members of Primavera Pro Startups 2017 are Enric Jové (McCann Worldgroup), Pablo Skaf (Deezer), Almudena Heredero (Primavera Pro), David Domingo (4YFN), Carman Chan (Click Ventures), Svetlana Kagan (VN Reality), Jon Eades (Abbey Road Studios), Àlex López (Grupo Godó) and Steve Mayall (Music Ally). They will evaluate the five finalists and choose the winning project (which will receive a prize valued at 100,000€) at the end of the event. The finalists of the fourth edition of the forum will be presented during a day of events that will also include related activities. First of all, Carman Chan (Click Ventures), as keynote speaker, will explain her vision on the ecosystem, both as investor and as entrepreneur. Then, a discussion panel will take place with the participation of Christoph Nagel (Kickstarter), Jon Eades (Abbey Road Studios) and Eneko Knörr (Ludei), who will bring their unique views to a discussion aiming to reveal the different paths to fund the music startups of the future. They will be accompanied by Steve Mayall (Music Ally) who will moderate this panel. This will be followed by the presentation of the five selected finalist projects, each of which will give their “elevator pitch” to the jury of experts, investors and members of the audience attending the final competition. Before the announcement of the winner, Sulinna Ong (Deezer), as keynote speaker, will speak about the future of music. And finally, the key moment will arrive when the winning project of Primavera Pro Startups 2017 will be announced, along with the winner of the audience award (which will be decided on Seed&Click social networks). Primavera Pro Startups 2017 will be possible thanks to our incredible partners: McCann Worldgroup, Baker&McKenzie, La Vanguardia, 4YFN, Cava Rabetllat i Vidal and Padcelona, and our collaborators: Eurosud, Music Ally, Kickstarter, Deezer, Abbey Road Studios, The Asian Entrepreneur, AEBAN, Wayra, ESADE Creapolis, NUMA Barcelona, Lanzadera and Barcelona Activa. 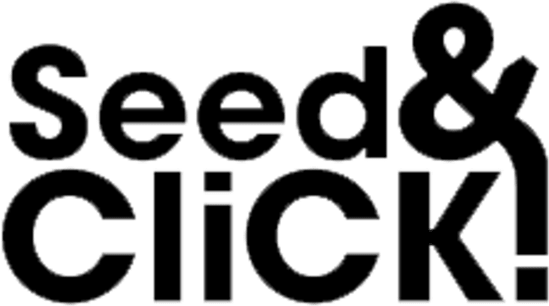 Seed&Click is a company devoted to fostering innovation, entrepreneurship and private investment by offering innovation consultancy and training, organizing international investment forums and developing and managing several business angel networks such as SWAN or Seed&Click Angel Network.